I heard quite some opinions about why tango DJs should use different other words for what they are doing because the expression DJ wouldn’t fit them. I totally disagree with this and that’s why I drop these lines. The abbrevation DJ means Disc Jockey where Disc stands for a phonograph record, and, in extension any sound recording, and the word Jockey stands for operator. So in short it’s an operator who presents or mixes different sound recordings to an audience. 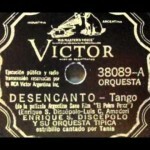 Some people argue that a tango DJ doesn’t mix and therefore you ought not call him or her a DJ like as the expression became reserved to the single context of clubbing. But the meaning of “to mix” is not that narrow it can also mean juxtaposing not just superimposing. And indeed the expression disc jockey is also much older than the electronic or scratched music culture from the 1980 and the first beatmatching experiences from the mid-1960s. 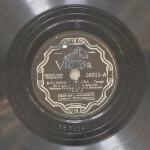 It has started with early radio programs where presenters were playing records to the audience. 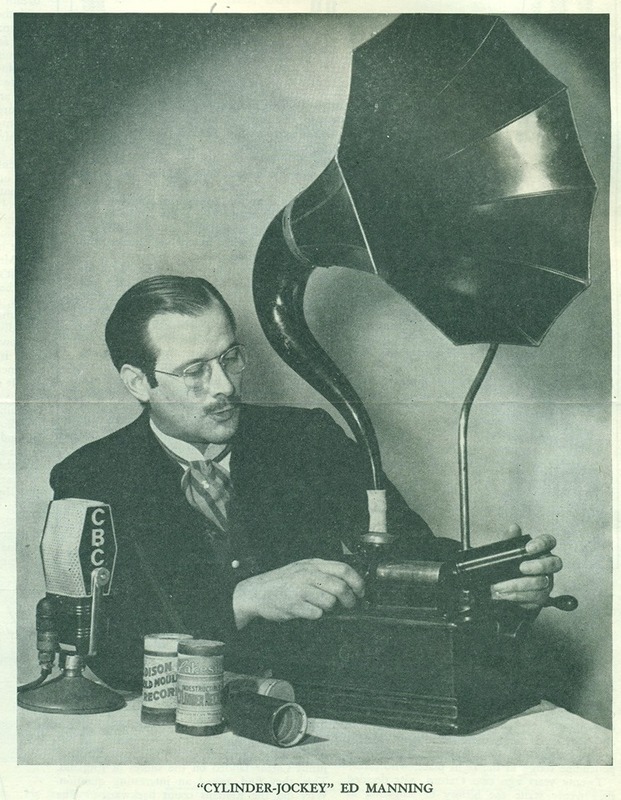 Check this photograph, it’s from a time when records were still cylinders and they got already played to an audience! According to Wikipedia “In 1935, American radio commentator Walter Winchell coined the term ‘disc jockey’ (the combination of disc, referring to the disc records, and jockey, which is an operator of a machine) as a description of radio announcer Martin Block, the first announcer to become a star. 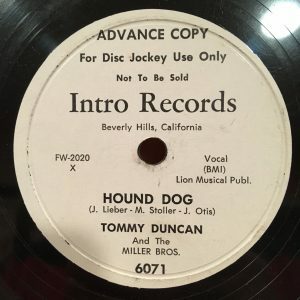 While his audience was awaiting developments in the Lindbergh kidnapping, Block played records and created the illusion that he was broadcasting from a ballroom, with the nation’s top dance bands performing live. The show, which he called Make Believe Ballroom, was an instant hit. The term ‘disc jockey’ appeared in print in Variety in 1941″. The term is very much connected with radio programs or dance venues where recordings are played in a juxaposed manner just as we do in modern milongas. On 24th June 1935, Carlos Gardel, the most popular tango star at that time, died tragically. 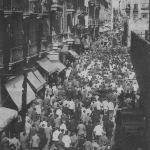 Such was Gardel’s prominence in Tango music that his sudden death left a void, but that was to change. Precisely 8 days after this sad event, Juan D’Arienzo reentered the recording studio, signing an initially short contract with the Victor label for a series of instrumental themes. This time, D’Arienzo would put aside his violin and take the lead as conductor for his ensemble. 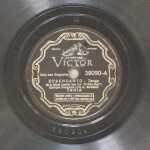 The first record he produced with Victor included the vals « Desde El Alma » on the A-side and the tango « Hotel Victoria » on the B-side. 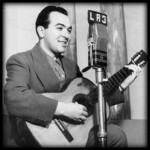 As it turned out, he would remain faithful to the same record label for the rest of his long career, laying the foundations that would revolutionise the tango genre forever, and open the door to the Golden Age of tango! D’Arienzo constructed his new arrangements around four accented beats per bar, creating the impression of a more sustained rhythm where the beat is over the melody. 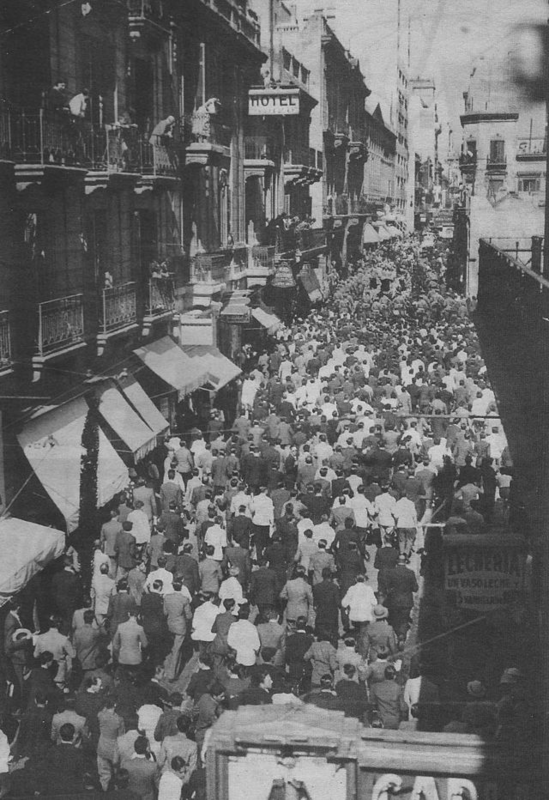 The new « D’Arienzo sound » was characterised by a faster tempo that suggested more action and movement, it subconsciously recalled fundamentally natural rhythms, like that of a heartbeat. 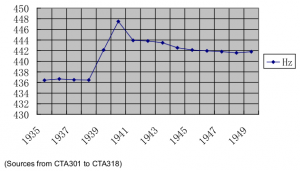 This new music had a great impact on all the major bands of the time and by the end of the 1930s most of the orchestras had adopted a faster pace and stronger accentuation of the beat. Everybody got caught up by the D’Arienzomania and tried to catch up with its success. Christian and his team were busy on making new transfers from shellacs available on their website which cover this complete period of D’Arienzo’s second outfit. Some of these titles had already been published previously by Tangotunes but they decided to do the whole series again. Right now three download volumes are finished and already available on their website but they want to release all of the titles. The rest will be available soon. I think it’s worth to dig a little deeper into this great restoration work as it has some aspects which witness very high transfer standards. 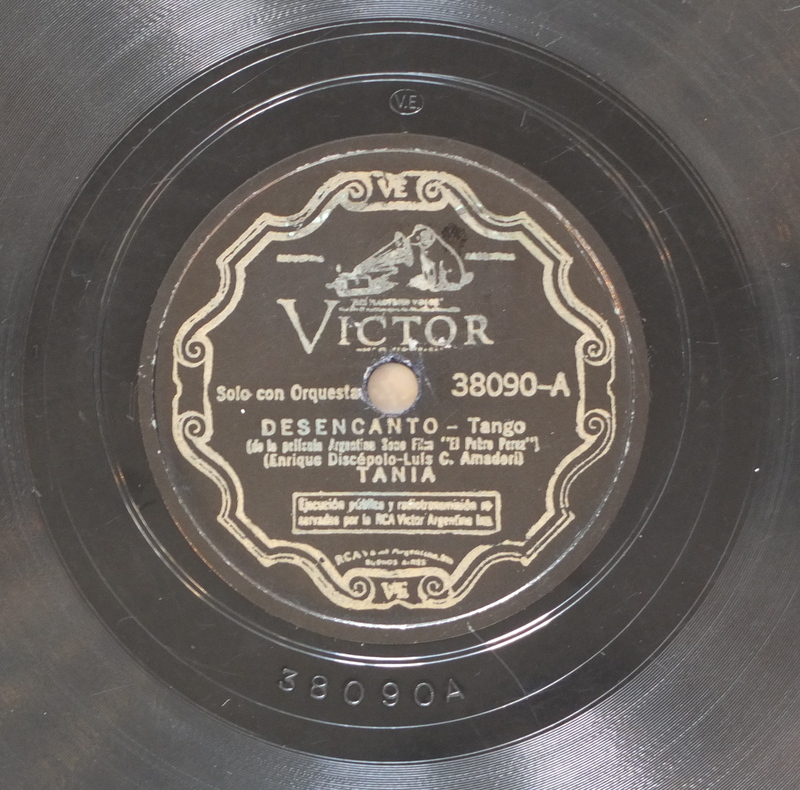 In recent times there have been two major papers which sustainably unveiled a new approach towards transferring and dealing with tango records. 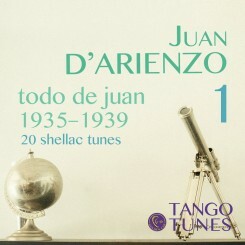 One is Age Akkerman’s manual on how to retune tango recordings called Lost in History – the Keys of Tango Music. This analysis is based on the conclusion that most of the CD transfers which are available nowadays are out of tune, most of the time overclocked. As a result all the instruments and voices in the recordings sound false and unnatural and he shows a method to bring them back into tune by analysing the frequencies of the A reference tone, which is also called the concert pitch. Often these pitch shifts were introduced intentionally by some recording companies in later reeditions, see my previous posts on this subject, or, happened directly during the recording sessions. Peter Copeland shows in his Manual of Analogue Sound Restorations also some possible causes which could have influenced on the correct speed of a 78 rpm recording, like fluctuations in the power network which wasn’t yet so stable as it is nowadays. 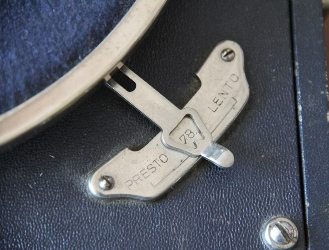 In the 1930’s, especially in cold winters, the frequency of the current could vary from the standard 60 Hz oscillation and make the motors of the record cutter run at a slightly different speed (nevertheless Buenos Aires is less likely to have had very cold winters) … Most of the record players at that time, as Age stressed out, had a pitch control, permitting for an instant correction by the listener. The other paper is that of Igor “El Espejero” Shpigelman, called the Equalizer-4-TJ, The Equalizer fo r Tango DJs. 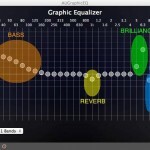 It’s a comprehensive guide which shows how to use an equalizer to get the best sound out of a given tango recording. 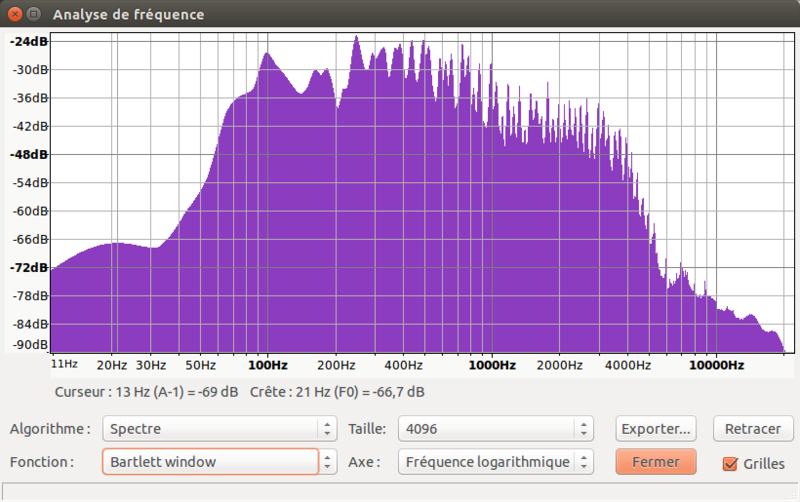 Showing precisely how the sound spectrum of a tango recording goes and where frequencies might be attenuated or amplified to obtain a certain result to fit the venue or the sound quality. This work is very interesting as it does not exclusively apply to the playback domain, the tango djing, but also shows some interesting findings which could be applied to the transfer of recordings. According to Tangotunes, the idea of the new D’Arienzo series is to offload most of the processing into the analog domain. Using a good restoration preamplifier and an equalizer to have the best and purest deemphasized signal for a careful last digital processing mainly limited to click and crackle removal. If you put together the two before mentioned methods of retuning and equalizing and offload those steps into the analog field then you can get excellent transfers. And that’s what Tangotunes did! Doing the retuning in the analog phase, by speeding up or down the turntable just inverses what happened when the recording speed fluctuated and the musical keys went out of tune. 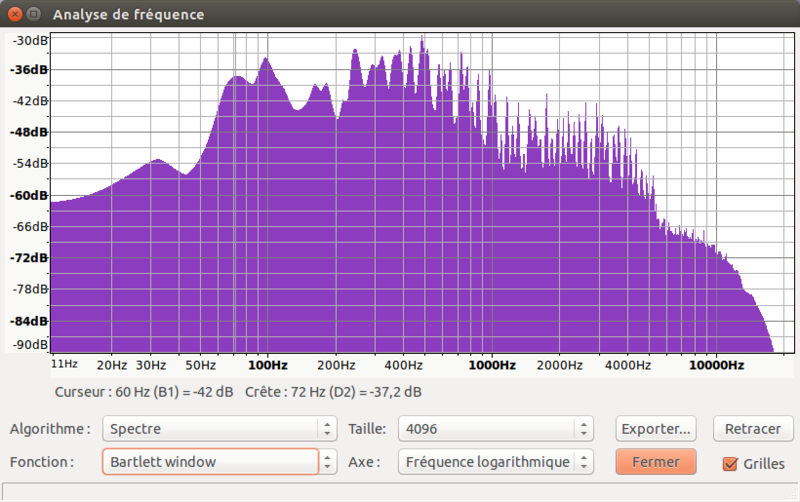 Doing it on a digital sound file, though, by computing all samples, might introduce quite some interpolation errors. Where information is missing, the computer will add something, so the result could be different. By the way, the computing gets more and more imprecise the higher the percentage factor of a digital pitch filter. And indeed, up to now, the best transfers I can currently think of are earlier LP transfers done by the Japanese collectors label CTA, Club Tango Argentino. 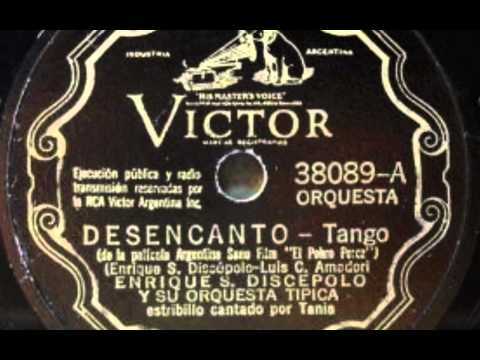 Their LP transfers are among the best restoration works on tango recordings I ever heard. To a certain extent, these vinyls sound even better than their recent CD transfers as they did most likely not undergo any digital processing at all. Hence, reproducing the initial sound signal of the original recording session in the purest imaginable manner. It’s interesting to recall what these original recording sessions were: They were direct-to-disk recordings. No multichannel, no tape, no editing, no overdubbing, just plain recording directly onto the wax platter without any stops, intermediate or post-production steps. This also meant that there was no way to cheat or to alter the result and there had been very few takes because of the high price and intensive preparation work of the recording support. Most of the time these sessions were done in one flush at first take. Unimaginable today. Though, this direct-to-disk process had been around until the end of the LP era as you can read in the aforementioned Wikipedia article! And it’s coming back, look for instance at the new label Berliner Meister Schallplatten, they are reintroducing the direct-to-disk process with vinyls and taking it to a new climax, they even invite the public into the studio during a recording session. The direct-to-disk process makes me think about Roland Barthes who wrote about silver photography in his essay “La Chambre claire”, long before the advent of Photoshop, that the noema of photography is the shocklike ça a été (that has been), as with these direct-to-disk recordings which are an immediate conserved state of sound without any cosmetics! A shocking document of what has been … A great deal of the emotions we live while listening or dancing to these recordings certainly result from this circumstance! “When we measure the pitch, it should be taken from the piano in the recording, provided that the tuning of bandoneons could range from 435 Hz to 445 Hz. The violins are not a well-tempered instrument and the musicians always adjust themselves to the piano or the bandoneon, so we cannot rely on them. 1. 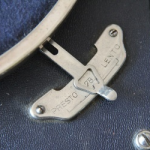 The standard pitch of 435 Hz was used by D’Arienzo’s Orquesta until 1939. 3. 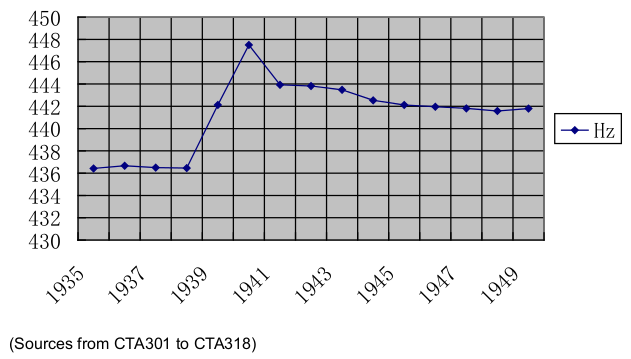 The CTA recordings, statistically, were 2.60 Hz higher transferred in average than the original play, which is around 10-15 cents. I have traced the spectrum of different versions of the recording El cencerro, which is one of the titles of the new Tangotunes series, all are in 44.1 kHz 16 bit, FLAC, the last Tangotunes is in AIFF. What we can see in the following spectrograms is that the first, taken from the El Bandoneón CD-43, has nearly sheer edges on the left in the bass, cutting off at around 60 Hz and on the other extreme, a high cut starting almost at around 4 kHz, leaving not so much music in the low and high frequencies. In the middle range you can see also a drop between 1000 and 2000 Hz, maybe due to the strong echo effect which had been added to this version. One word about the background noise which is quite subtle on the Tangotunes AIFF version and a little stronger on the CTA and Audio Park CDs: Once coffee and milk are mixed, it’s difficult to remove the milk without removing some coffee too. The same applies to sound restoration. 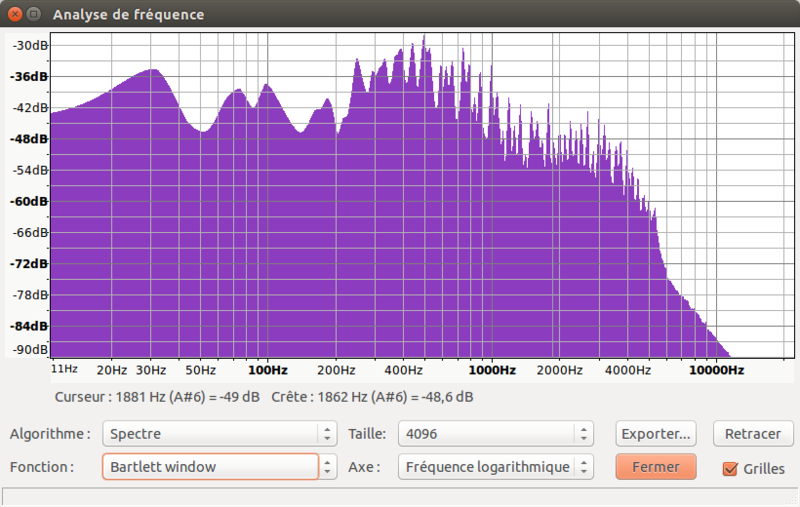 It’s better to attenuate the background noise and not to try to remove it completely. The El Bandoneón version is the quietest because of its strong shelve filters in the bass and treble regions but it’s therefore missing music too, sounds muffled and has added artefacts, a strong reverb effect and other noises resulting from heavy filtering and which are actually not in D’Arienzo’s music! From a psychoacoustic point of view, the human ear is very well capable of removing carefully attenuated background noise from our perception. Whereas it is very aware and annoyed by artefacts and missing frequencies. 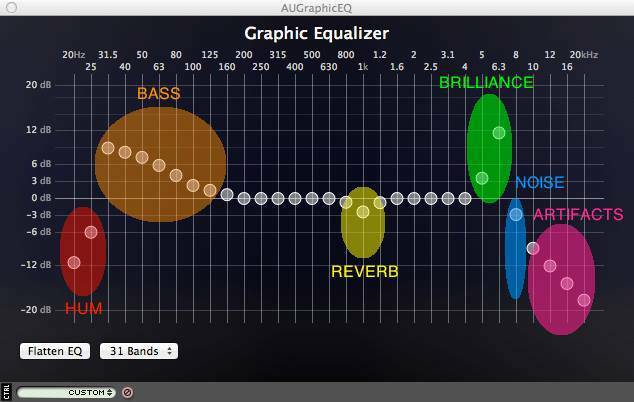 In the end, we can use an equalizer to cut off hiss and other background noises and individually decide how much to remove during playback. Most of the time, anyway, it’s the bad PAs at the venues which eat all the background noise as they tend to be good in bass and mid-range reproduction but often are deficient in high tones. From my experience, events with audiophile 3-way systems are rare. As Tangotunes is dedicated to music for the modern milongas the two polcas from 1937 will be missing as polca is not so much in vogue anymore 🙂 By the way, the Tangotunes version of Don Esteban is, like the CTA version, take 2. Could be cool to add take 1 with the two added Biagi solos too which is quite rare without reverb effect. For a deeper analysis of take 1 and 2 see my article News from Don Esteban. Their recent Ángel D’Agostino transfers were already very good but they missed the retuning part which is now integrated into this new series. Already since the D’Agostino series, their sound files look very well done, no clippings left as it had been the case with some files in former series. During our talks, Christian told me: “What I find most exciting is that everybody can use their ears to get an idea if a recording sounds right and if the speed is correct. Especially with strong speed fluctuations this is easily possible.” So let’s trust our ears, that’s what it’s all about! 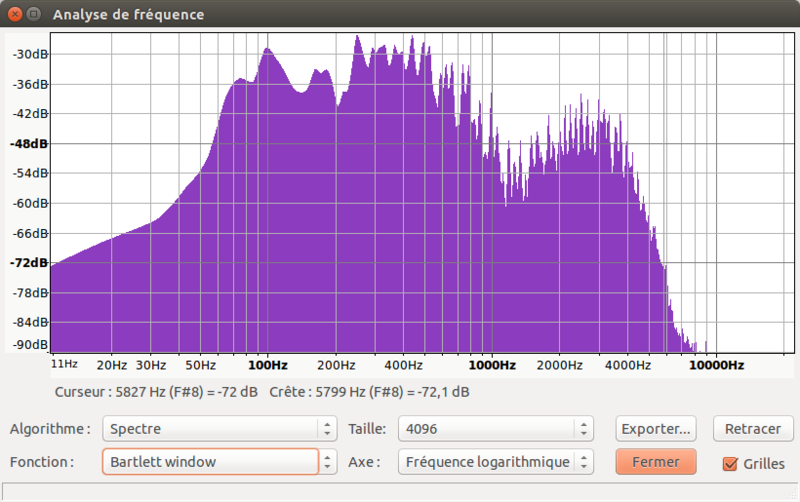 Recently I had some strange conditions during playback of certain FLAC files in my digital tango collection. First I thought there must be a bug in my player but checking the player’s logs showed that the problem was within the FLAC stream. Somehow, some of the files must have gotten corrupted. This could have different causes, like power failures and unclean shutdowns, maybe an error on the media or an uncompleted copy task. Once a byte get’s changed in the FLAC file in the worst case it might not be playable anymore. In my case, I had two different conditions: First the file would start playing and then after a certain point the music output stopped. In another situation the corrupted FLAC file would trigger an exception in the decoder and it crashed the whole player application. -w, –warnings-as-errors Treat all warnings as errors (which cause flac to terminate with a non-zero exit code). -s, –silent Silent: do not show encoding/decoding statistics. -t, –test Test (same as -d except no decoded file is written). The exit codes are the same as in decode mode. The script changes into the Musique folder in my home directory and then creates a text file called flac-errors.txt, if it’s running consecutively, it tests if this text files exists and when it exists it deletes and recreates it as an empty file prior to proceeding. shopt -s globstar means that the Bash script will perform recursive globbing on ** – therefore matching all directories and files from the current position in the filesystem, rather that only the current level. 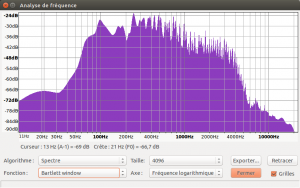 In the for loop it will loop through all FLAC files in the Musique folder and its subfolders performing the integrity test. If the FLAC file is OK, the output is send to /dev/null which means the output is deleted and if the test is not OK, meaning that there is corruption, it will be written into the flac-errors.txt file with a little formatting. So you will have the title and the path of the corrupt FLAC file written each on one line in the text file for a later analysis and eventual restoration of the dammaged files. So every once in a while such a test might be a good idea to check if all the music files in the collection are still OK. This rules out bad surprises during playback! By the way, the foobar2000 player has such an integrity test in the interface, Mixxx will write FLAC stream errors into its log file. The test script can also be useful to be run on newly added folders in the music collection to check that all FLAC files are in OK condition and that the encoding worked out well, like a last test before playback or archival. The verify feature of the FLAC audio format is actually a big advantage compared to other formats which don’t have such a mechanism! in 1 day and 17:17 hours. in 6 days and 18:17 hours. in 14 days and 20:17 hours.